Burn more fat and tone up by adding variety to your workout routine. There are times when you wish you could just drink a magic potion and be thin and shapely overnight, right? Unfortunately, there is no magic potion to burn that extra fat and tone your muscles. You have to eat right, get plenty of rest, drink water and exercise. Some types of exercise can burn body fat while you tone your muscles. It's great when you get double the reward for your effort. 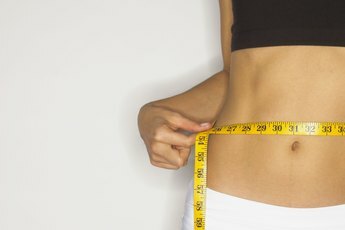 No matter what the magazines, infomercials and blogs tell you, you can't lose weight just on one part of your body. Spot reduction is a myth. If you want thinner thighs or a flatter stomach, you have to get exercise and eat a healthy diet to lose weight. Exercise to burn more calories than you eat is the most effective way to lose weight anywhere and everywhere on your body. Some exercises can target specific muscle groups to increase the size of your muscles, but spot training won't burn fat. You need a whole-body, aerobic workout to burn fat and tone your muscles. Walking is one of the best and easiest ways to burn fat while you tone all of the major muscles in your body. Walking can burn up to 180 calories in just 30 minutes of walking. Do fast, brisk walking to burn even more calories and firm up your muscles. Interval walking can really burn the fat. Walk at normal pace for about five minutes to warm up your muscles. Once you are warmed up, walk at a brisk pace for 10 minutes, then slow down for five minutes. Switch it into high gear and walk at a rapid pace for another 10 minutes. Cool down by walking at a normal pace for five minutes. You've heard the saying, “Slow and steady wins the race.” Slow and steady also burns fat and tones your muscles. Slow, sustained exercise burns fat and tones muscles without causing major fatigue. You can exercise longer if you workout at a slow, deliberate pace. Ride a bicycle or stationary bicycle at a steady pace for 45 minutes to one hour to burn up to 500 calories in the first 30 minutes. Swimming is a whole-body toning and fat-burning aerobic exercise that can burn off 400 calories in about 30 minutes. High-intensity cardio burns hundreds of calories, boosts your metabolism and tones your whole body. You also get a super workout for your heart and lungs. 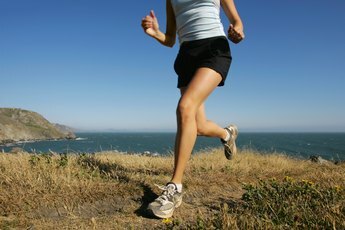 Running and jogging are ways to get started doing high-intensity cardio workouts. Jumping rope works your upper and lower body as well as your arms. Warm up to elevate your heart rate and then jump rope for 20 to 30 minutes. Short bursts of sprinting followed by a few minutes of jogging is also a high-intensity cardio workout that will burn calories and tone your muscles. 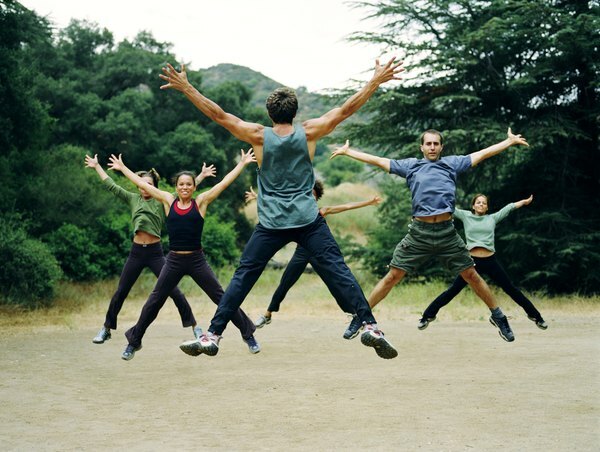 Step aerobics and dance aerobics can also give you a leaner, firmer body. Shape Fit: Cardio Exercises to Burn Major Calories! What Kinds of Workouts Burn Fat? Can You Exercise Your Arm Muscles Every Day? The Fastest Way to Burn Fat: Jog or Run?